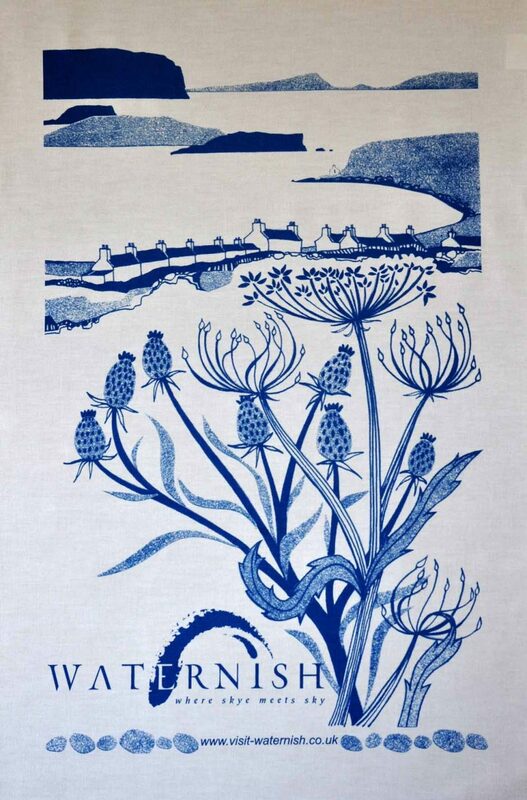 We have produced a high quality Waternish tea towel which is for sale at a RRP (Recommended Retail Price) of £6.00. Liz Myhill (of Dandelion Designs) was commissioned to do the design for us, and we have chosen a company to produce the tea towel which appears to have good environmental and employment credentials. An excellant idea for Christmas presents and reminders of your visit to Waternish on the Isle of Skye, this can be purchased from participating Visit Waternish businesses.